Home new page Twas the night before Christmas and high was the surf. Twas the night before Christmas and high was the surf. Christmas on the equator in Kenya was warm. Christmas in San Antonio can be warm. Even Christmas in the Connecticut of my youth could be balmy at times. Today in New Jersey, the day before Christmas, the temperature reached 72F (22.2C). Anne Mei and I celebrated by taking Toto down to the beach at Spring Lake. The surf was up, along with a few surfers. 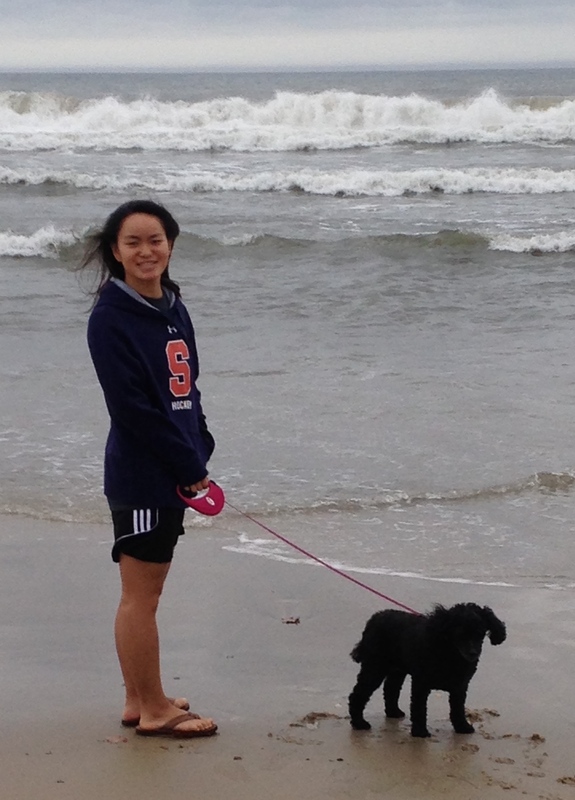 Anne Mei ran Toto along the beach, but could not entice her into the water. On the way back we stopped at Battleview Orchards in Freehold. We bought apples (winesap and macintosh), cider, and thumbprint fruit cookies. As soon as we got home, Anne Mei made hot cider with a cinnamon stick. Tastes good even when it’s warm outside.